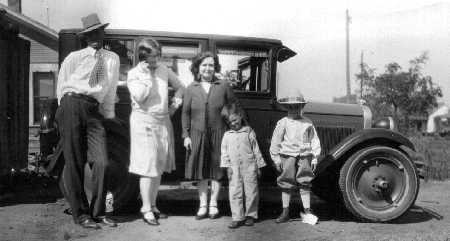 Year 1930 at Texon Texas. The Pollards have a new automobile. Of course when company comes; you line them up and take pictures.